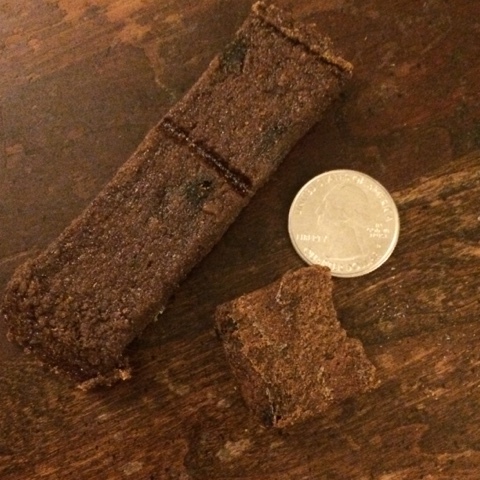 For the month of May, Chewy.com sent Venus a bag of Wellness CORE Grain-Free SuperFood Protein Bars (with Salmon, Whitefish, and Pomegranate) to try, and share the results with you all. Below you will find a product description provided by the company, as well as my experience with the product and my honest opinion of it. Wellness CORE is based on the nutritional philosophy that dogs, given their primal ancestry, thrive on a diet mainly comprised of meat. These nutrient-dense protein nuggets are packed with quality animal protein, without fillers or grains, along with wholesome superfoods. Each tender bite delivers an incredibly healthy and exceptionally tasty way to treat your dog. *100% natural & Made in the USA! 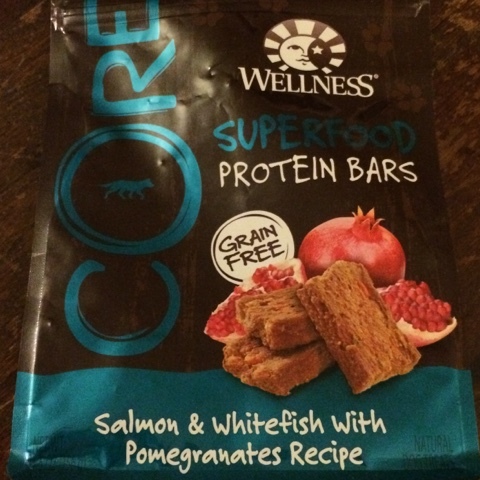 These protein packed bars are soft and chewy, with a strong fish scent. This scent is very pleasing to Venus, but doesn't escape the bag either when closed. The bars themselves were a bit intimidating to me at first glance, because Venus is a smaller dog, but thankfully these bars break apart very easily into small squares that can be eaten much easier. I've found that these are a great snack to keep along when going on walks to give her a little healthy boost of energy.